Location filming started in London, with the Skyfall cast and crew seen filming in Whitehall, Smithfield Market and Trafalgar Square in the first half of November. A further day was spent at The Four Seasons Hotel in Westferry Circus, Canary Wharf in Docklands, where Daniel Craig was photographed in the pool. More scenes were filmed with Naomie Harris on the roof of the Department of Energy and Climate Change in early December, with other Skyfall filming locations including a night shoot at Charing Cross station, doubling for Temple, and Childers Street, where Daniel Craig was seen behind the wheel of an Aston Martin DB5. 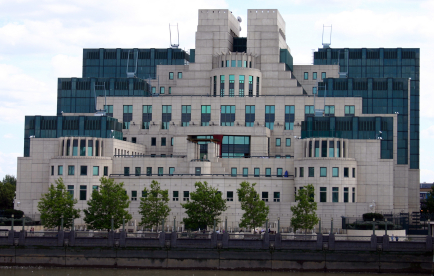 In February further scenes were filmed at various locations in London, including a daytime shoot in Trinity Square, a car chase along Millbank in which it was reported an extra sustained minor injuries after being struck by a car, and Vauxhall bridge towards MI6 headquarters. Filming at the world famous Pinewood Studios, home to the 007 Stage, began on November 7th and although some teaser photos have been released there has, as yet, been nothing revealed. Istanbul has been confirmed as a shooting location, with strong indications that filming will take place in Sultanahmet Square for which the production has received filming permission, with local reports stating that Hagia Sophia Museum will be used. Cast and crew will also shoot at the Varda Railway Bridge in the province of Adana, as well as and the Aegean province of Fethiye. The second unit visited Shanghai during January 2012. It is believed that no first unit filming will take place in China. February saw two Aston martin DB5s in action on the A82 in the Scottish highlands and some cast and crew – including Daniel Craig – flew budget airline Jet 2 from Glasgow to Dalaman, 45km from Fethiye on Turkey’s south-west coast (see above, Turkey). All was not quite as it seemed though, as it turned out the entire aircraft had been chartered by EON Productions. This page will be updated as more information becomes available. Last updated 23rd February 2012.